Investors in Syneron Medical Ltd saw new options begin trading this week, for the April 17th expiration. At Stock Options Channel, our YieldBoost formula has looked up and down the ELOS options chain for the new April 17th contracts and identified the following call contract of particular interest. Syneron Medical (ELOS) shares are climbing double digits after the company issued fourth quarter revenue guidance ahead of analysts' expectations. 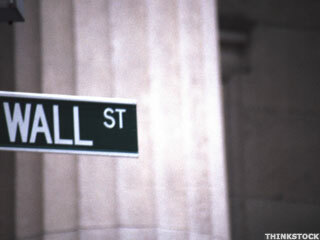 Syneron Medical (Nasdaq:ELOS) has been upgraded by TheStreet Ratings from a sell to hold. Syneron Medical (Nasdaq:ELOS) has been downgraded by TheStreet Ratings from from a hold to sell. Syneron Medical (Nasdaq:ELOS) hit a new 52-week low Tuesday as it is currently trading at $8.91, below its previous 52-week low of $8.95 with 12,608 shares traded as of 9:40 a.m. ET. Average volume has been 226,400 shares over the past 30 days. Syneron Medical (Nasdaq:ELOS) is trading at unusually high volume Friday with 3.1 million shares changing hands. It is currently at 13.3 times its average daily volume and trading up 37 cents (+3.2%). Syneron Medical (Nasdaq:ELOS) hit a new 52-week high Thursday as it changed hands at $14.56 compared with its previous 52-week high of $14.45. Syneron Medical is currently trading at $14.49 with 137,757 shares changing hands as of 9:56 a.m..